I received Mattel WWE Flexforce Fist Poundin Undertaker Action Figure for me to review. My son loves watching WWE on television with my husband. When I received Undertaker action figure, my son was so excited. I showed him the arms move back and forth to throw punches. He couldn't get enough of it; playing with it on the sofa, floor and even on me. The action figure looks so much like the real Undertaker. The toy doesn't require any assembly but just a little imagine, fun and play. I would like to buy other WWE Flexforce action figures, WWE Money in the Bank Ring and accessories to complete my son set. He would be so happy to have them all on Christmas. The toy is worth the price and recommended to children the appropriate age. 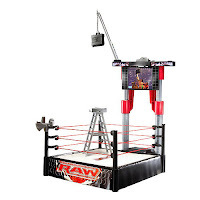 For more information on WWE Flexforce Fist Poundin Undertaker Figure or buy one for a child visit Mattel. The WWE Flexforce Fist Poundin Undertaker Figure retails for $9.99. 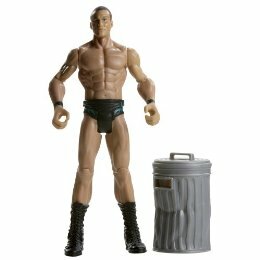 You can also purchase WWE Flexforce action figures or accessories at toysrus, target, Sears and FAO. Prices may vary at other stores and online. To view products or buy visit Mattel. You can like Mattel on Facebook and find out about product sales, contest and much more. nice post.. The child really enjoyed with the toy. Copmaq presario 2500 maybe 7+ years old. How do I get this thing to run faster. When we boot it up it takes 5 - 10 minutes before you can use anything, any sooner than that it will freeze up. The anti virus recently expired and anything I tried to put onto it totally screwed it up. After Mcafee I couldnt get anything to run. I took that off and am using a free avg for now. But seriously everything is so slow on this thing what can I do to get it running faster? Yeah I know throw it away and get a new one. Not that easy its my GF's and she loves it. We use my computer primarily but when im busy on mine or just every now and then she likes to use hers.